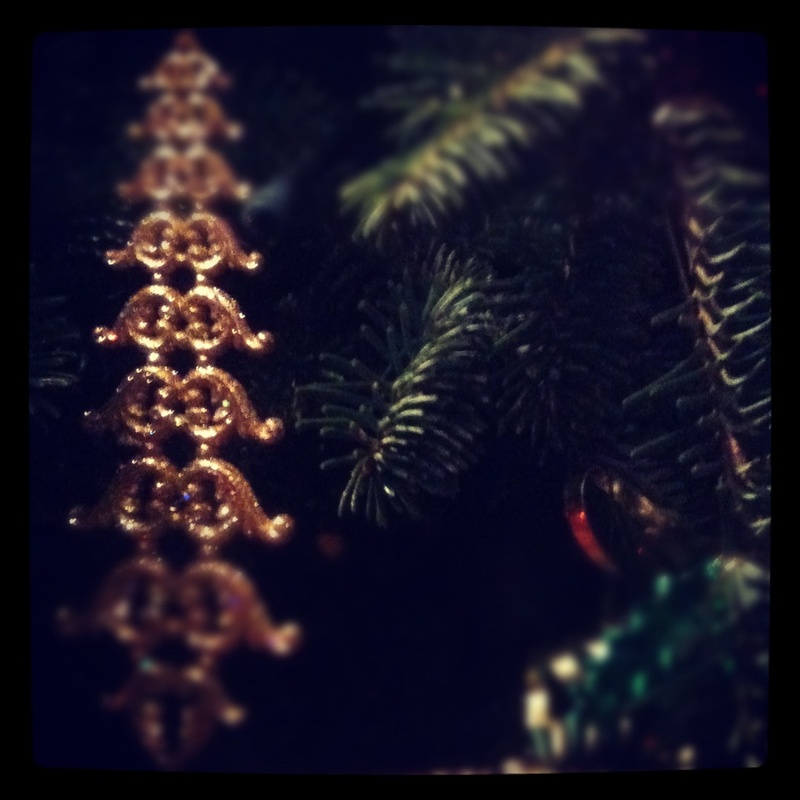 miscellany monday #8: somehow, december mondays feel a little bit sweeter. today i am reflecting on the pure joy that is the christmas season. and, more specifically, the joy that is decorating our homes for the christmas season. as i paid visits to friends' homes this past week & weekend, i found myself surrounded by garland, lights, stockings, and christmas trees - oh, those christmas trees. and each time a new scene of tinsel & lights lay before my eyes, i felt all of those holiday feelings all over again. and with those holiday feelings, also come the feelings of luck & gratefulness. i am so thankful to have a whole holiday season before me. it warms my heart to know that, while anticipating loved ones' homecomings, the thrill of gift-giving, & then a trip or two of my own, i have all of the holiday spirit i could ever hope for, all around me. that, i'd say, is a very comforting - and also thrilling - thing. reading nothing. with the close of the reading of pride & prejudice for book club, i am sad to say that i have not yet picked up the first installment of my winter book list. i do believe, though, that i shall begin this week with john bridges' how to be a gentleman. yes, truly it is not my role in life to be a gentleman, but i figure it'd still be interesting to find out how the gentlemen in my life should go about being just that. writing not even half-way nearly enough. listening to the black keys' new album, via lindsey. office jam sesh? thinking that decorating the christmas tree with my parents last night was just what the doctor ordered - and should be a guide to how the rest of this week should pan out, if i am lucky. smelling sunflowers, by elizabeth arden. my signature scent circa seventh grade. i love that i still love it. wishing for the inspiration to finish my homemade christmas gifts, to tackle some very important wedding to-dos, & for the patience to do all of the above with joy & happiness on my face & in my heart (stress, be gone!). hoping my life doesn't disappear into the abyss that is obsessive gossip girl viewing. netflix is a blessing & a curse, all in one. i'm currently at the beginning of season two. i have a lot of catching up to do! however, that is not allowed to be my top priority. wearing my pearl popcorn necklace from justin, which is one of my very favorites. and a new makeup look. and a hair look inspired by blair (read: gossip girl obsession). loving that this week means kara will be home for christmas break. and that justin's journey home to shreveport for christmas has been booked. and that plans for me to finally visit him in north carolina are in the works. wanting to get caught up on watching my youtube beauty gurus. i love turning to them for inspiration. i really hope megan has a new video or two! needing to have a week dedicated to becoming the best version of myself. think every-day workouts, plenty of pilates, reading, writing, cleaning - and, above all, relaxing. luckily the blank week staring back at me from the pages of my planner is conducive to this particular idea. i'm not writing near enough either, sigh. that necklace sounds beautiful. i'm with you and lowercase letters - i'm not writing enough either. well, by that i mean i'm not writing enough creative, blog, and personal stuff. i've been writing an overabundance of papers for class recently. i used to watch gossip girl with my roommate my first year of college. i miss it a little! maybe i'll look into watching it again. is this your first time watching the series or are you watching again?